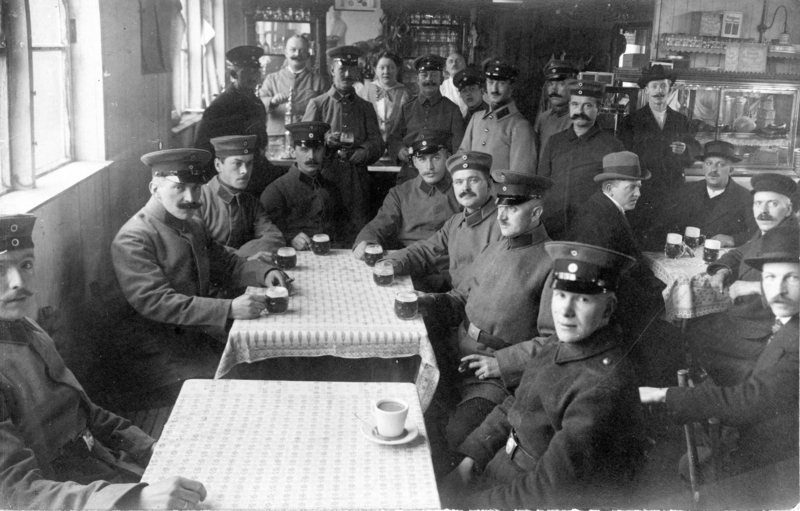 Oscar and his Platoon in a Cafe. WWI, 1915. Hamburg, Germany. My dear Parents, my best thanks for today’s postcard. After I worked very hard all day drawing, I recuperated for a short while in the Cafe. When will you, dear father, come visit here. From Manfred (Oscar’s Brother) I received a card the other day. Best wishes from your devoted son, Oscar. I really wonder what oscar was “drawing”. Maps? Army plans? Clearly he felt safe enough to invite his father up to Hamburg. Oscar in WWI Uniform. 1915. 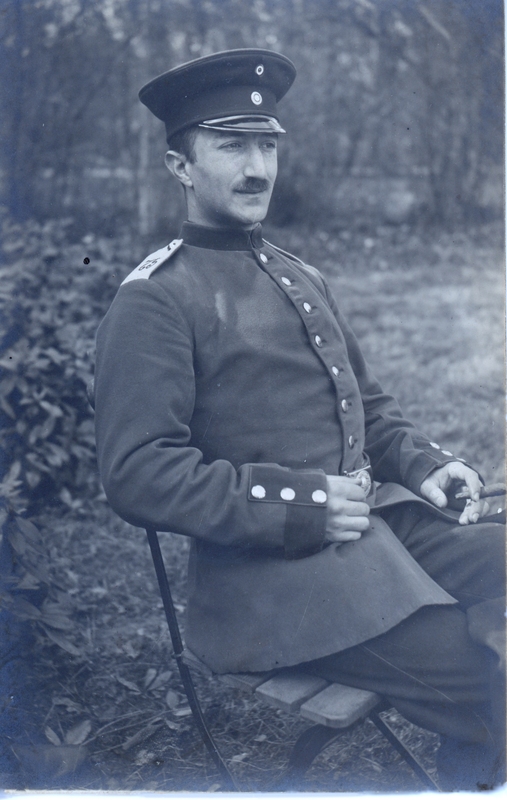 Oscar in his World War I German Uniform. 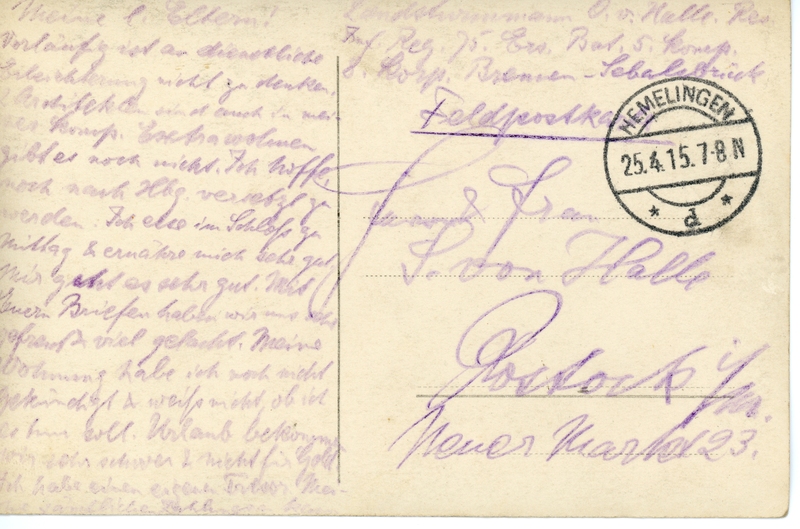 On the back is a postcard written to his parents, Sophie and Seigmund von Halle (translation to come). This is one of my favorite photos (to date). My great grandfather was evidently proud of his time in the German army. 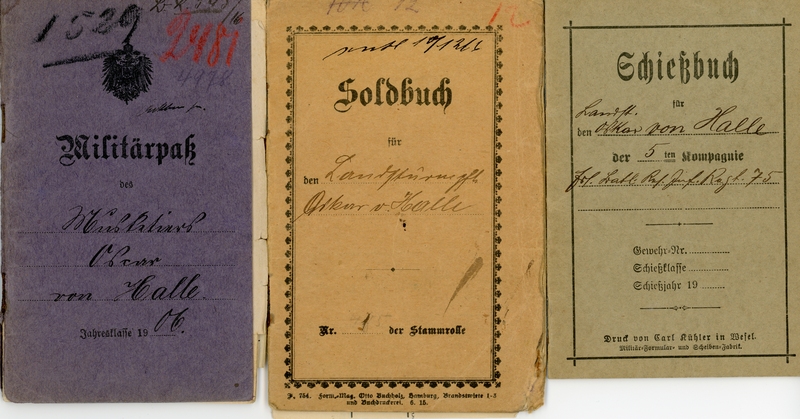 He saved numerous photos and materials from World War I, including his Military identification forms, which will be scanned soon. His father. Seigmund, served under Otto von Bismark. Henriette’s relatives even fought for German Liberation from Napoleon. Oscar’s brother, Manfred von Halle, lost his arm during WWI. You can see a photo of him recovering in the hospital in the materials section of my thesis.